Mkhwanazi was appointed CEO following Norman Mbazima’s decision to step down after four years in charge. Significant change was under way: the business had just been through a restructuring, which resulted in some retrenchments; a new operating model had just been introduced to improve operational efficiencies; and technology was becoming an area of focus for the business. 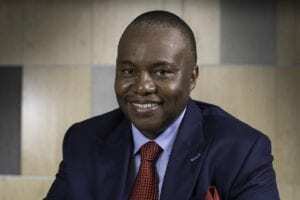 Mkhwanazi has been steadfast at the ship’s helm for almost two years now and Kumba is in a profitable position, despite the sometimes volatile iron ore price. Much of this positive turnaround can be attributed to Mkhwanazi’s leadership approach, a committed team, and a number of strategic developments. 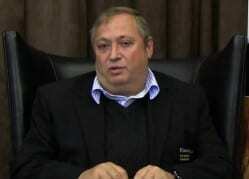 “Iron ore prices are not under our control and can be volatile. But my strategy, when I became CEO, was to deliver value by optimising all aspects of performance and focusing on what we could control, which included improving productivity, deploying new technology, improving operational efficiencies, and expanding our margins by achieving higher realised prices while reducing costs. “Operational performance, over which we have control, was the biggest driver of profit growth at 7%. Ultimately, we operate in a competitive and uncertain environment. We focus on managing what we can control, in order to mitigate what is outside of our control,” says Mkhwanazi. In the adoption of this operational-performance-centred approach, Kumba has since seen impressive financial results. Kumba recorded significant profits in 2017, up from the year before, and the business was able to pay out full year dividends of almost R31. It also had a fatality-free 2017 – an especially notable achievement. “First off, as safety is at the heart of everything we do, I am particularly proud that we were fatality free in 2017 and that we have improved across all metrics. This was directly attributable to our programmes focused on embedding a culture of zero harm and ensuring safe working practices by all our employees and contractors. In 2017, we had zero fatalities; high-potential incidents were down 46%; lost-time injuries were reduced by 43%; and total recordable cases were down 20%. “Overall, Kumba delivered a stronger operational and financial performance in 2017, as the strategic changes made in the prior year became embedded and gained traction. Both Sishen and Kolomela exceeded operational guidance, resulting in total production increasing by 8% to 45 Mt,” Mkhwanazi states. He adds that Kumba delivered an Ebitda (earnings before interest, taxes, depreciation and amortisation) of R19.6 billion – a 6% increase. Attributable free cash flow was up 10% to R12.3 billion, reflecting stronger operational performance, disciplined cost management, the extraction of full value for differentiated quality products, and ongoing capital discipline. “This led to headline earnings per share increasing by 12% to R30.47, mainly due to the increase in revenue,” he says. Mkhwanazi asserts that the business was able to achieve this Ebitda by making good on his strategy to influence factors under Kumba’s control, as opposed to relying on dynamics beyond the company’s control, i.e. the iron ore price. “Operational performance, over which we have control, was the biggest driver of profit growth at 7%. 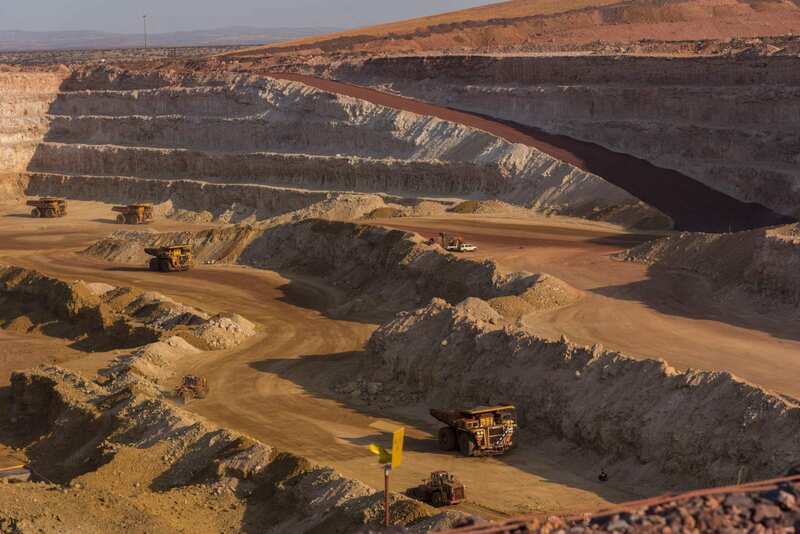 Kumba realised an average FOB (freight on board) price of US$71 (R907) per tonne despite higher freight rates on the Saldanha-Qingdao route increasing to $12 (R153) per tonne. “Ultimately, we have been able to return a significant portion of earnings to our shareholders, while ensuring a robust capital structure,” he continues. At a media visit in May, Mapi Mobwano, GM at Sishen – Kumba’s flagship operation – made mention of an operating model the entire Kumba business had embraced in a bid to unlock Kumba’s full potential. Inside Mining asks Mkhwanazi to unpack this operating model and what exactly it entails. He explains, “Our operating model is designed to ensure more stable and efficient operations, and continues to deliver significant value to our business. It is a management system where every major task by every team on the mine is scheduled and tracked electronically. The model has, among other things, set the drum beat of how we do things and has contributed to our improved productivity and overall efficiencies. “Thanks to the roll-out of the model – which is simply about planning, scheduling and execution – we have seen productivity improvements at our operations and throughout our value chain. 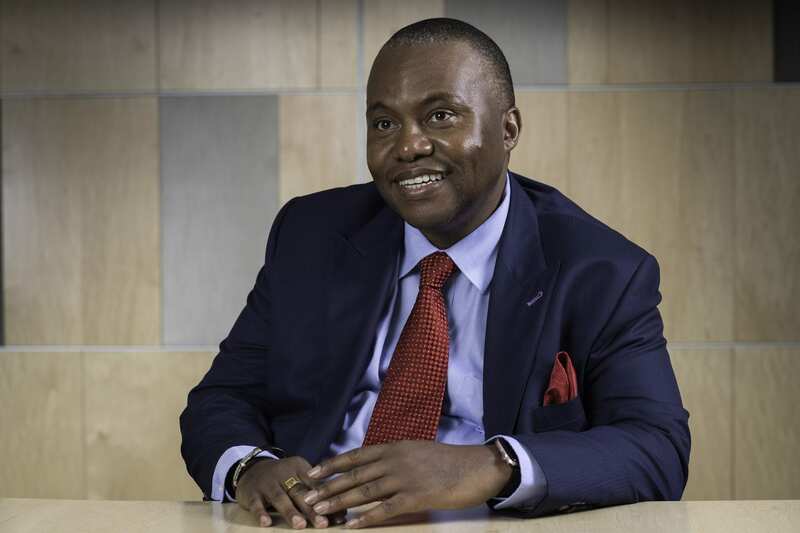 Mkhwanazi says his focus as a leader continues to be on how Kumba can extract the full potential of its portfolio. “We’ve made some real progress on this over the past year, with a step change in productivity and break-even price, driven by a focus on operational excellence that has been well executed by the team,” he says. Mkhwanazi indicates how, alongside that progress, the business also underwent a comprehensive review to test every aspect of the value chain to see where improvements could be achieved. At the company’s annual results in February, he then announced the outcome of this review process with Kumba’s full potential transformation strategy. “Reaching our full potential is a multiyear journey and we have a clear transformation agenda, which will focus on driving our operations to unlock Kumba’s full potential with three Horizons (see Figure 1),” Mkhwanazi shares. He admits, however, that there is still more that can be done in continuing to improve on the basics, such as better negotiations, understanding customers’ needs, the acquisition of new customers to ensure that Kumba has a diversified customer portfolio, and improving cooperation between marketing and operations to produce the products customers need. “The management team is totally committed to implementing all these measures and, more so, the company is in the best position to deliver sustainable cash flow and shareholder returns through challenging times, like those faced a few years back. At the moment, China is Kumba’s biggest customer; however, changing market conditions in the region and globally mean that, in the long term, new geographies will need to be explored. “We value our customer base in China and this market will remain key for some time; however, we are expanding our marketing to new geographies such as Europe and the Middle East, where there is growing demand for high-quality products. Our aim is to have a more diversified client portfolio. Last year, we increased our sales outside of China by 9.3% to 15.2 Mt,” he continues. Notably, Kumba outperformed peers on the realised FOB price by an average $14 (R179) per tonne through 2017 despite the fact that most of its peers are geographically much closer to China. “Kumba’s products are premium quality – and the demand for high-grade products continues to be very strong. We believe this shift towards higher-quality ores is structural and should support product premiums in future. “At the end of the day, we believe we have an opportunity to transform our business and build a legacy for generations to come,” Mkhwanazi concludes.